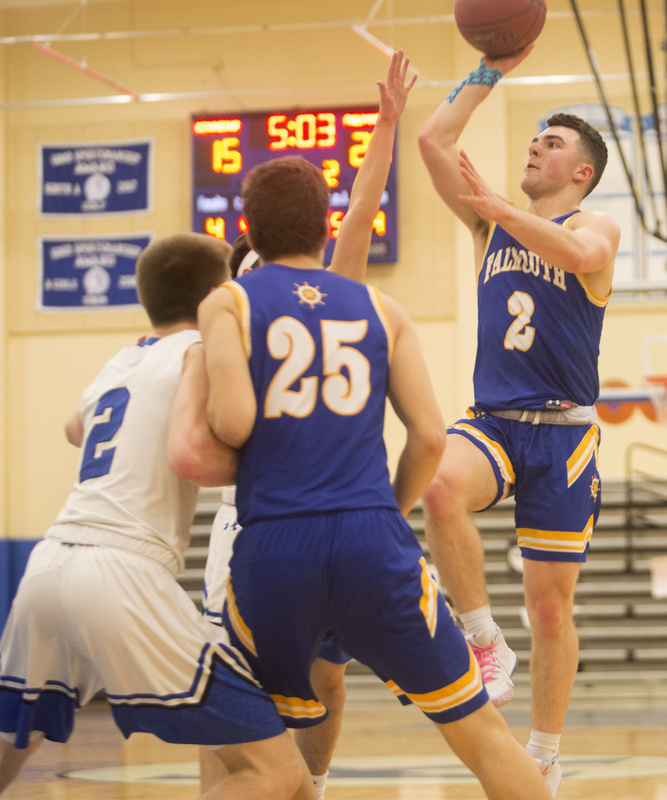 Falmouth's Niklas Hester tries to block a shot by Kennebunk's Max Murray in Thursday night's game at Kennebunk. 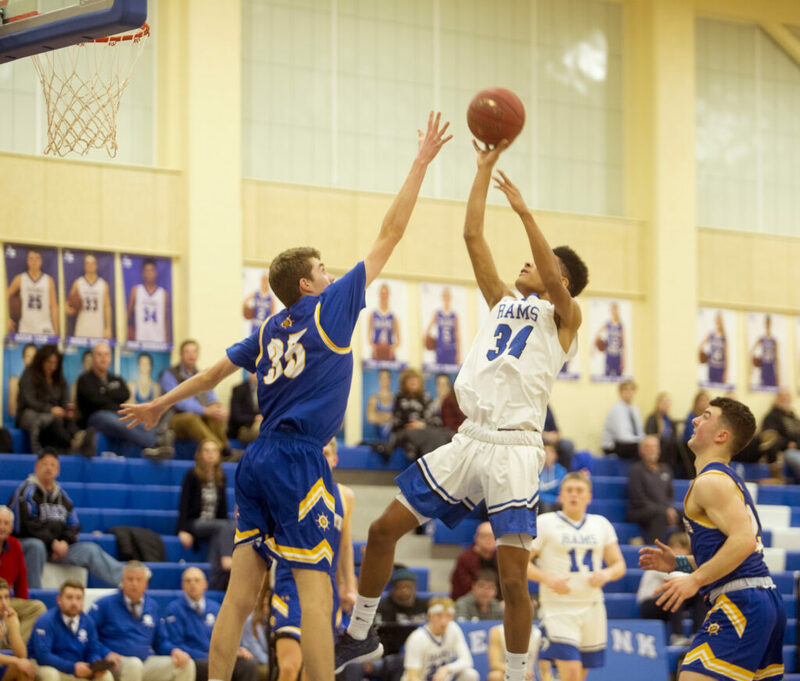 Kennebunk won 54-51. 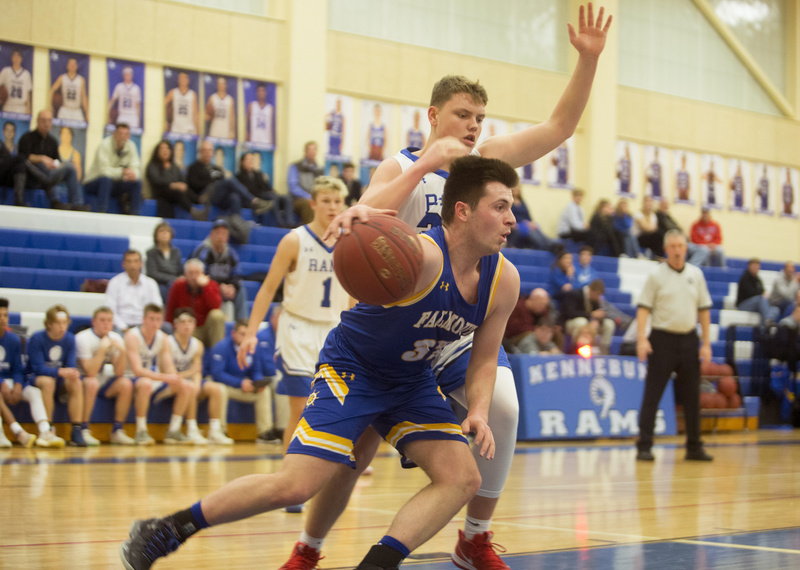 Falmouth's Sam Manganello slides past Kennebunk's Adam Lux on the way to the basket. 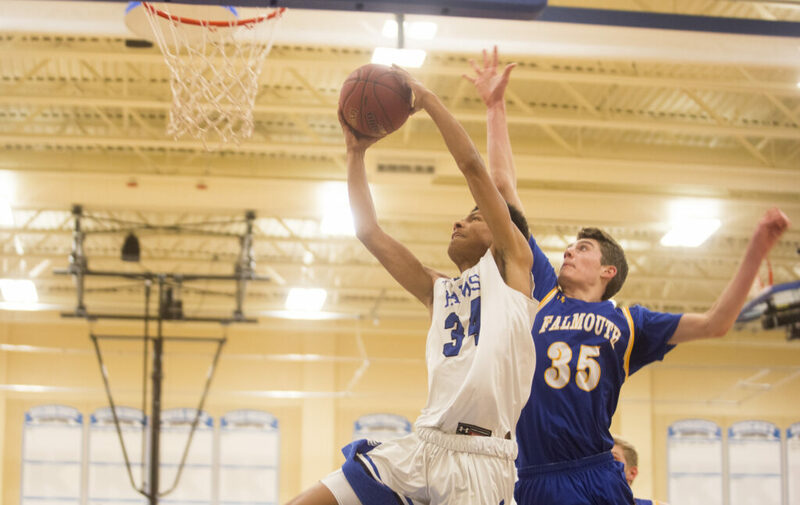 Falmouth's Nicco Pitre goes up for a shot against Falmouth. 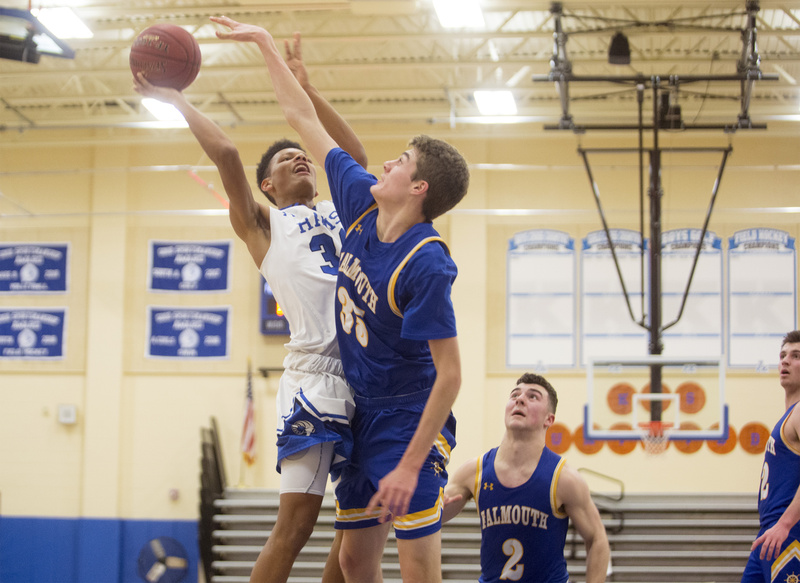 Kennebunk's Max Murray has a step on Falmouth's Niklas Hester as he goes in for a basket. Kennebunk's Max Murray gets a shot just over the reach of Falmouth's Niklas Hester. 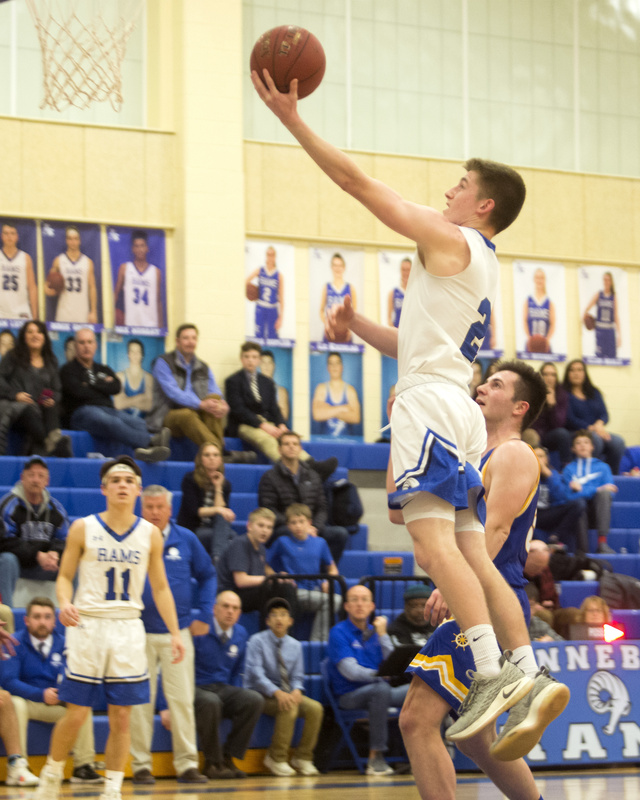 Kennebunk's Zack Sullivan goes up for a layup in the fourth quarter. 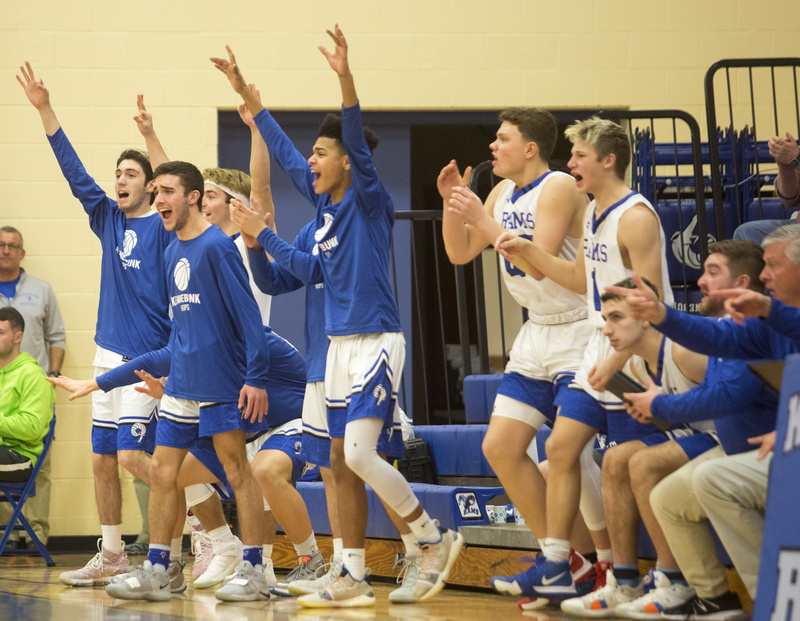 Kennebunk players on the bench celebrate a 3-pointer by Zack Sullivan in the final minutes.